Jayalalithaa was a superstar in every respect. 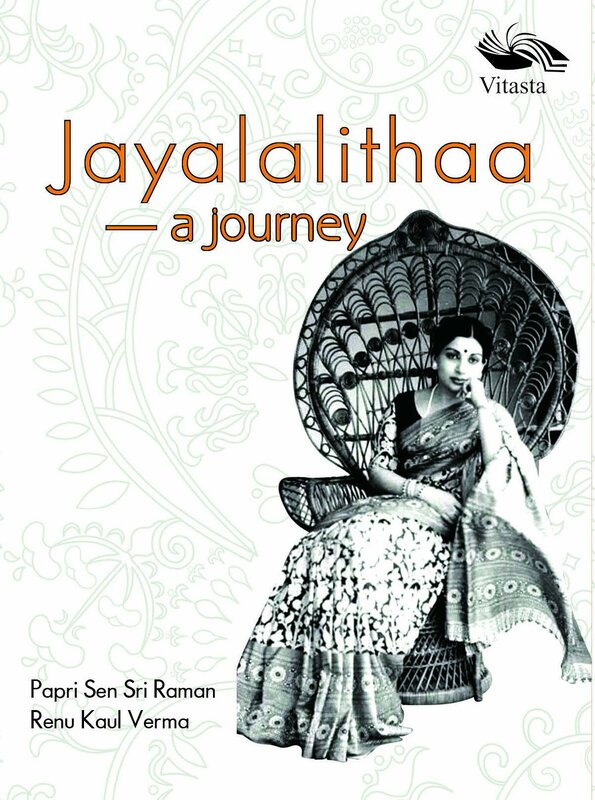 Jayalalithaa-a Journey is a picture book on her life and times. This book attempts to bring to the reader a whiff of the personality, an understanding of the person she was and the adulation that she garnered. Jayalalithaa was a convent educated polyglot, a beautiful young woman at the height of a successful career as an actor, capable of taking her own political decision. There was, undeniably, more to the woman than meets the eye. Her people were with her. She was their mother figure, not just an astute politician who won many elections. Papri Sen Sri Raman is a journalist writer and translator. She is the winner of the third UNHCR CNES Media Fellowship, 2008; Interpress Media Fellowship in 200809; The Kaiser Media Fellowship in 200708. She has worked with several Indian newspapers like The Statesman, The Indian Express and the IANS news agency and is the Editor of Book Link, the only newspaper of the publishing industry in India. Renu Kaul Verma is a publisher with a decade of experience as a former journalist with leading newspapers like The Indian Express and Hindustan Times. She is the founder of Vitasta Publishing, which has carved out a niche for itself with showstopper books on Mahatma Gandhi, Subhash Bose, JP, Narendra Modi and several others. She also brings to the reader definitive books on women’s issues. She is the publisher of Book Link newspaper.